When making my meal plan, I always include one night of pasta. Finding pasta recipes without dairy has been difficult. Anytime I come across a pasta dish without dairy, I usually add it to the menu. Especially if the picture looks as good as this one did. Results: Delish. Healthy. Quick. Will definitely make it again. On a plate, toss the shrimp with the crushed red pepper, half the lemon zest, chopped herbs and a pinch of salt and pepper. Let it sit while you start the rest. Heat the oil in a medium skillet over medium-high. Add the garlic and bloom 30 seconds. Add the tomatoes along the remaining lemon zest. Sprinkle with a little salt and pepper and saute for 2 minutes. Add the shrimp in a single layer and sear on one side for 2 minutes. Flip and sear another minute, or until shrimp is cooked through. Keep tossing the tomatoes just a little bit. In the meantime, bring a large pot of salted water to a boil and cook the angel hair until al dente, maybe 5 minutes. Drain all but about 1/2 cup of the pasta water and toss with the shrimp and tomato mixture, along with the spinach. Squeeze a lot of lemon juice right in. Season with coarse salt and pepper. Add as much pasta water as you want to create a thin, glorious sauce. Serve it with more lemon juice, crusty bread and for heaven’s sake, fresh parmesan cheese. I'm extremely late in posting this recipe. This was one of the desserts we enjoyed Christmas Day. I have to give credit to the husband for finding this recipe. Since I'm unable to eat dairy I was very limited to a lot of our traditional holiday desserts. I wasn't thrilled about this and after complaining to hubs, he went in search of a dairy free dessert. He emailed this recipe to me asking what I thought. All I had to do was look at the picture before I gave him the A-Okay. Results: Hands down the best carrot cake I've ever made. The cake was moist and every single bit was full of flavor. It was a BIG cake, so one little sliver satisfied my sweet tooth. When I make it again (and I will) I'll use a 9x13 pan and do more of a sheet cake. I will also cut the oil in half and add applesauce. 1. In a medium bowl, combine grated carrots and brown sugar. Set aside for 60 minutes, then stir in raisins. 2. Preheat oven to 350 degrees F (175 degrees C). 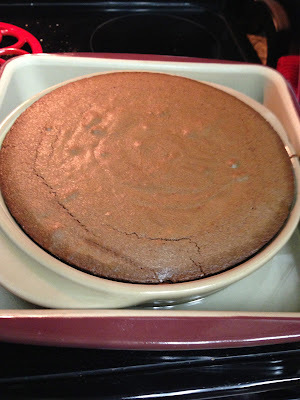 Grease and flour two 10 inch cake pans. 3. In a large bowl, beat eggs until light. Gradually beat in the white sugar, oil and vanilla. Stir in the pineapple. Combine the flour, baking soda, salt and cinnamon, stir into the wet mixture until absorbed. Finally stir in the carrot mixture and the walnuts. Pour evenly into the prepared pans. 4. Bake for 45 to 50 minutes in the preheated oven, until cake tests done with a toothpick. Cool for 10 minutes before removing from pan. When completely cooled, frost with cream cheese frosting. Some of my favorite recipes I've made have been delivered right to my inbox. A few years ago I subscribed to Kraft recipes. A few times a week some of their most popular recipes are delivered right to me. I keep them all in a folder on my computer. Whenever I'm in need of a new recipe, that is where I go. Results: A healthier version of what you'll get at your local Chinese restaurant. This meal was full of flavor and just as tasty the next day for lunch. This picture doesn't really do the recipe any justice. I used brown rice, so it all kind of blended together. I didn't have any green pepper at home, but will definitely add it or peas next time. Enjoy! 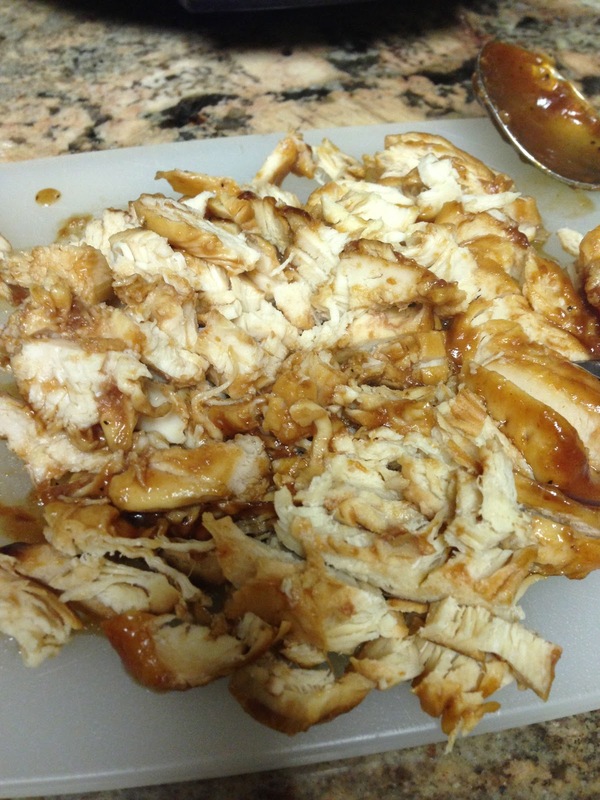 ADD broth and barbecue sauce; cover with lid. Cook on LOW 6 to 7 hours (or on HIGH 4 hours). STIR in remaining ingredients. Cook, covered, on LOW 30 min. or until rice is tender. One thing I learned very early on in my marriage was that my husband has a love for Sweet Baby Ray's BBQ Sauce. We have to have it in the house at all times. He uses it on everything. When I came across this recipe, I had to make it for him. 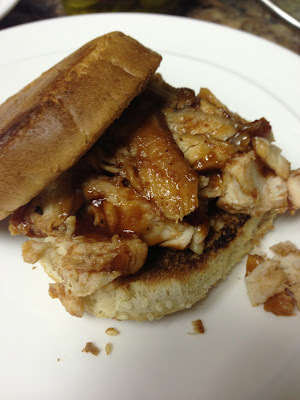 Results: One of the best BBQ chicken recipes I've ever made. There was a good amount of extra sauce when it was done cooking so I decided not to serve it on it's own. I felt like it needed something. 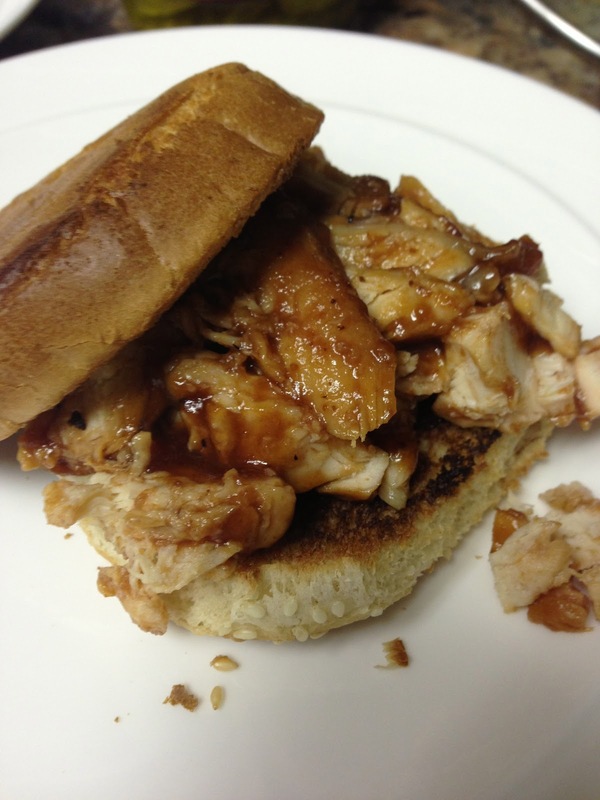 So I decided to make BBQ chicken sandwiches. I chopped the chicken, toasted buns, added some pickles and even put some of the extra sauce in a ramekin for dipping. These sandwiches were as good as a BBQ restaurant that is by our house. Absolutely delicious! This is what it looked like when it came out of the crock pot. Then, I sliced it for our sandwiches. Soup and cold weather go hand in hand in our house. Unfortunately, when I was planning our meals a few weeks ago I didn't know that our January weather would be in the 80's! I had already made my trip to the store therefore this recipe stayed on the menu. 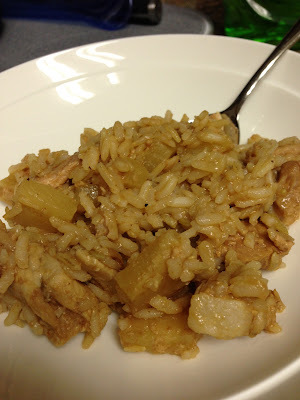 I have to say that this was definitely one of the easier crock pot recipes I've made recently. All you really have to do is cut the celery and carrots (I didn't use onions) and throw everything else in there. Hubs and I devoured ours and are still enjoying leftovers. I'm looking forward to making this again when the weather is cold! I'm sure you've seen this recipe floating around Pinterest. The picture alone had me sold. My picture wasn't nearly as good, but this recipe did not disappoint. 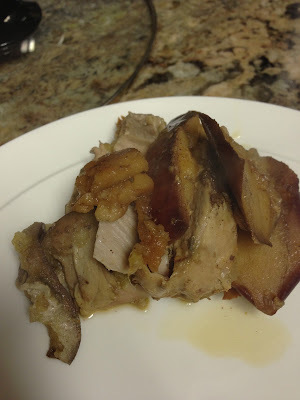 Results: Some of the most delicious pork I've ever had. Just sweet enough and perfectly tender. I'm not sure how I feel about the apples at the top and bottom. I loved the apples between the pork. I think next time I'd cut the apples at the top and bottom a little smaller so that they can go with each bite. They were pretty mushy by the time the meal was done in the crock pot but I think that is how they're supposed to be. It was the bigger pieces of the skin I had trouble with. We served it with rice. Then sprinkle the whole thing with cinnamon. I found this hearty and healthy recipe when searching for dairy free dinners. I already had potatoes in another meal I planned for the week along with the red peppers. That right there had me sold. I always try to plan meals with some of the same ingredients to save money. Especially potatoes since they come in a big bag and there is only two of use eating. Results: One of the best dinners I've made lately. It took no time. Loved the size of the peppers. They were the perfect bite whether paired with a potato or sausage. The leftovers the next day were just as good. It's also a cheap meal to make. Enjoy! 2. Place cut potatoes in medium saucepan; cover with water. Bring to a boil; reduce heat. Simmer 10 minutes or until crisp- tender. Drain potatoes. 3. 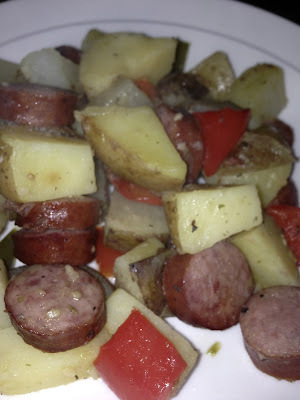 Combine sausage, potatoes, bell peppers, onion, garlic, chicken broth, olive oil and seasonings in a 12x8-inch pan (I used 13x9-inch); mix lightly. (Alternately, you can mix the sausage and vegetables in a large bowl, whisk the seasonings together separately then pour over and toss- then transfer the mixture to the pan). 4. Bake for 30 minutes or until potatoes are lightly browned and vegetables are tender. For crispier potatoes, bake 10 to 15 minutes longer. This is my new favorite lunch. If you're looking for something healthy and filling....look no further. I could eat this every. single. day and not get tired of it. It's that good. 1. Bake pizza dough according to packaging. Let it cool. 2. Spread hummus evenly over the crust. 3. Place cucumber even in rows over the top. 4. Top with the red pepper and dill seasoning. 5. Chill until it's time to serve. Cut into squares. Let me introduce you to the dessert we made for NYE. 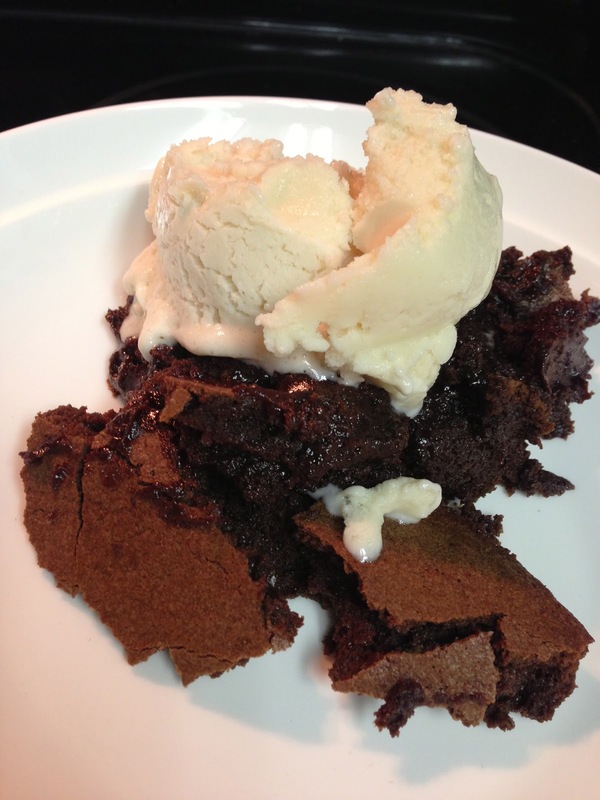 This my friends, is brownie pudding. It has to be one of the richest desserts I've ever had. The recipe wasn't as simple as I usually go, but it was a special occasion. Hubs and I made it together after the baby went to bed and watched a movie waiting for it to cook. Please note, this does take an hour in the over. Plan ahead. Results: Divine. Rich. You don't need a lot and it will instantly fulfill your sweet tooth. We served it with dairy free ice cream. I definitely think you need ice cream to go with it. It melts into the brownie pudding and adds the perfect touch. The crust was my favorite part. When the eggs and sugar are finished mixing, scrape the seeds from the vanilla bean into the mixing bowl. 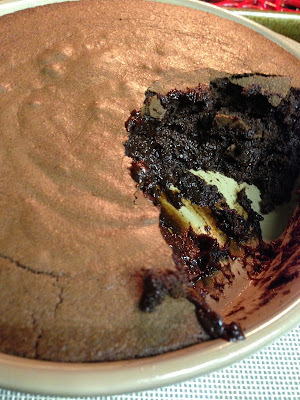 Add the flour-cocoa powder mixture to the bowl as well. Mix on low speed just until combined. With the mixer still on low, slowly pour the melted butter and mix again just until combined. This year hubs and I stayed in for NYE with the baby. We decided to have a nice dinner at home. Appetizers, Main Course, Dessert...the whole 9 yards. Results: They were big one bite appetizers. 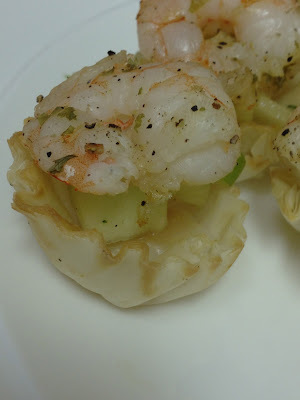 I loved the sweetness of the fruit combined with the shrimp. I was pleasantly surprised with how they turned out. 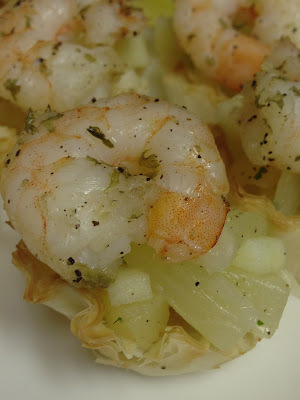 In a bowl, mix the shrimp with salt, pepper and dry parley leaves. Line the shrimps in a baking pan and roast them for 10 minutes at 400 F.
In another bowl, mix pineapple, green apple and cilantro with some salt and pepper. Pour a spoon of salad mix into the cup and then, place the shrimp on top. By now you should know that I love all things pumpkin. Which is why I decided to give this recipe a try. I've had it on my Pinterest board for a while now, I always think of making it but never got around to it. I knew if I added it to our Christmas breakfast menu, I would definitely make it. Results: Delish. I made sure there was a thin pumpkin layer on the toast after making the first one and thinking there was a little too much pumpkin on it. Next time, I'll add some cinnamon and pumpkin pie spice. Happy New Year. I have high hopes for 2013, I hope you do as well. I have a lot of recipes I made over the holidays that I can't wait to share with you. 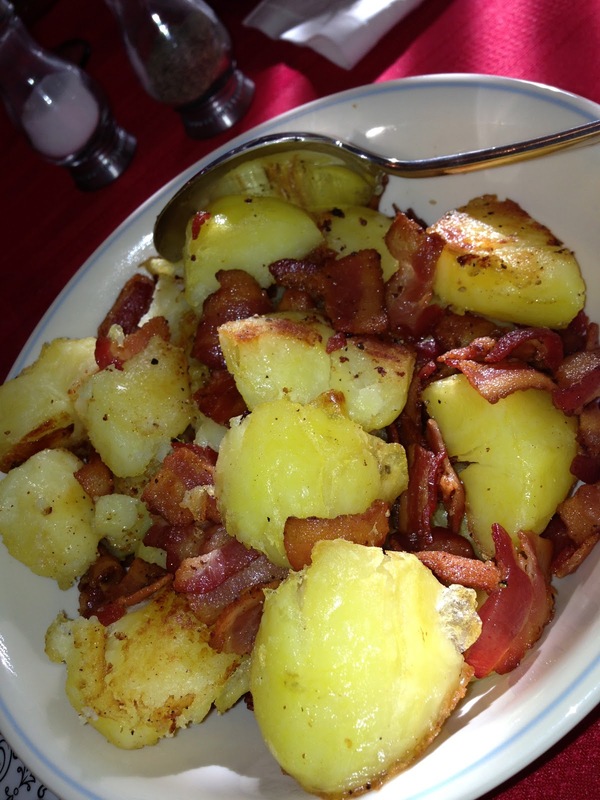 This first side dish recipe was made for Christmas dinner this year. When planning the menu, I set out in search of dairy free recipes. It was much harder than I anticipated. So many things have butter, cheese or cream...especially the traditional holiday sides. I chose this one because even thought the original recipe calls for parmesan cheese, I thought it would be good without. I knew the husband, father and brother would like it because it had bacon. So, I decided to add it to the Christmas dinner menu. Results: The bacon was the most time consuming part of the recipe. But, it's also the part that added the most flavor. The potatoes were really good. It was the perfect amount of seasoning and crispiness on the outside. I didn't find myself missing the cheese at all. The family approved as well, there weren't any leftovers. Enjoy! While potatoes are cooling, preheat the oven to 425° and mince the garlic and parsley. Makes 4-6 servings, depending on serving size.